Read about Greens of the Stone Age’s brand collaborations, press features, and mentions in both print and online media content. 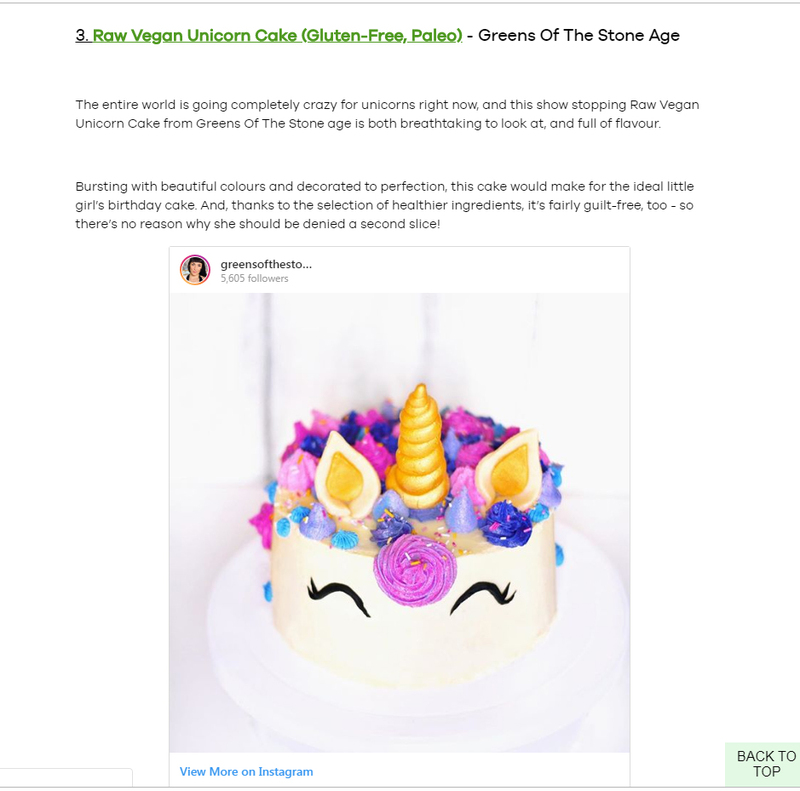 My Raw Vegan Unicorn Cake was featured in the JD Williams’ January blog post ‘Recreate Bake Off Vegan Week at Home’ wherein JD Williams encouraged their readers to take a stab at recreating some yummy vegan recipes just like the contestants from Great British Bake Off! 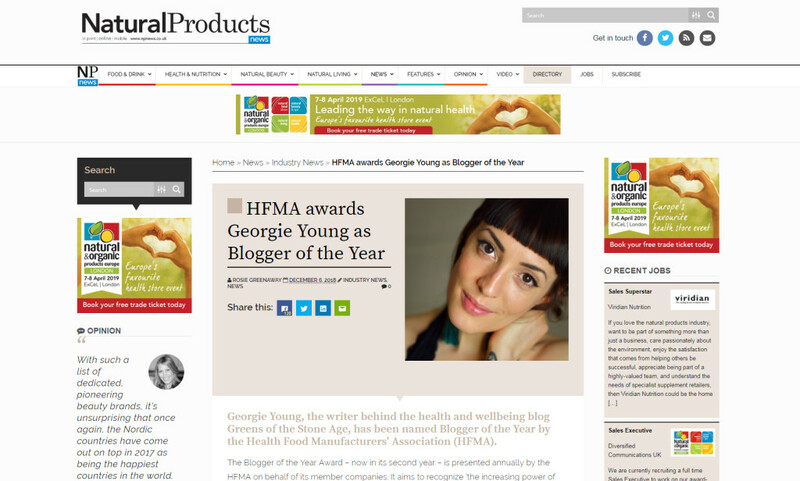 I was certainly thrilled to be featured – thanks guys! 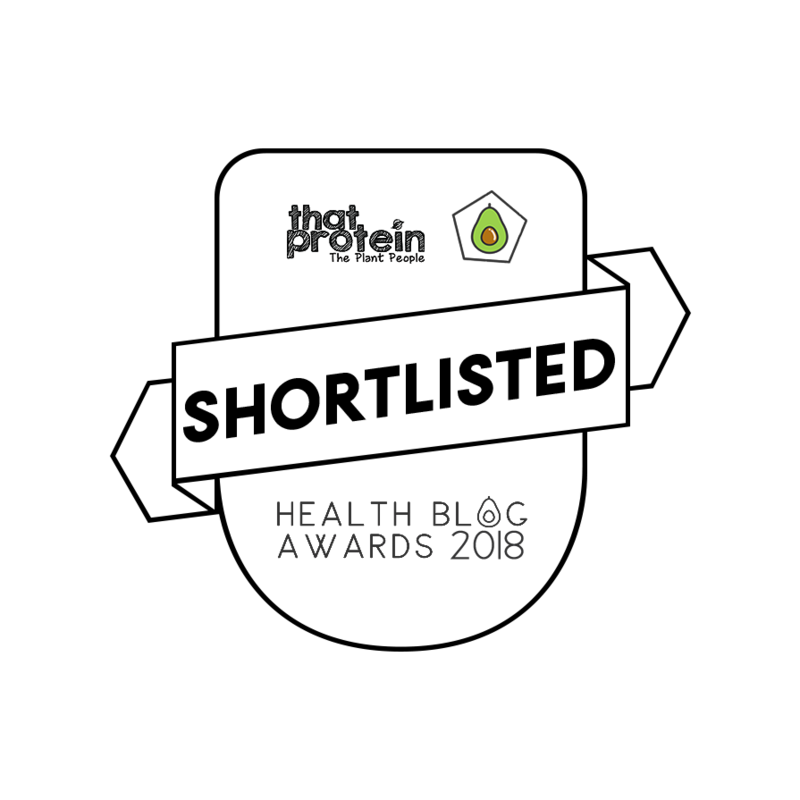 Back in November, I was delighted to find out that I had won the HFMA (Health Food Manufacturers’ Association) Awards as Blogger of the Year. But, what was equally as delightful was this amazing press feature written by editor Rosie Greenway of Natural Products Online, Britain’s leading trade magazine for the natural and organic products industry. I wrote a short and sweet piece on the pegan diet for the Trend Alert section of the November issue of Natural Health, wherein I talked about what the diet’s principles are and its health benefits. 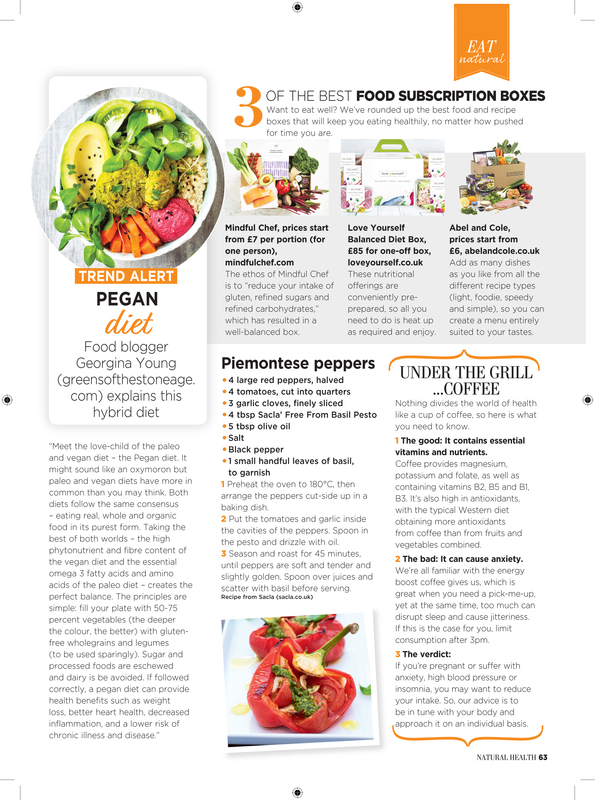 Pick up your copy of Natural Health Mag at most leading retailers and supermarkets. With the British weather picking up I decided to recreate one of my childhood classic lollies – the Fab. I put a healthy spin on them by making 3 layers; berry ice, vanilla chia pudding, and a rich raw chocolate shell. 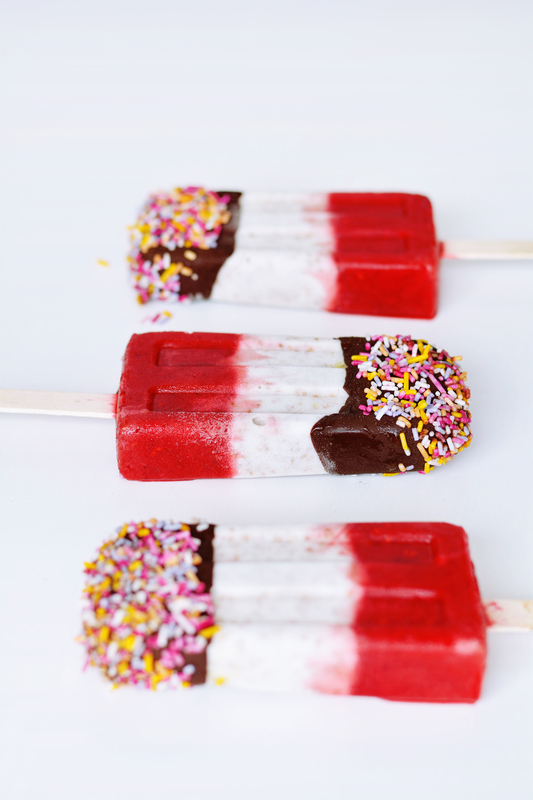 These Healthy Fab Lollies are perfect for little ones and adults alike. 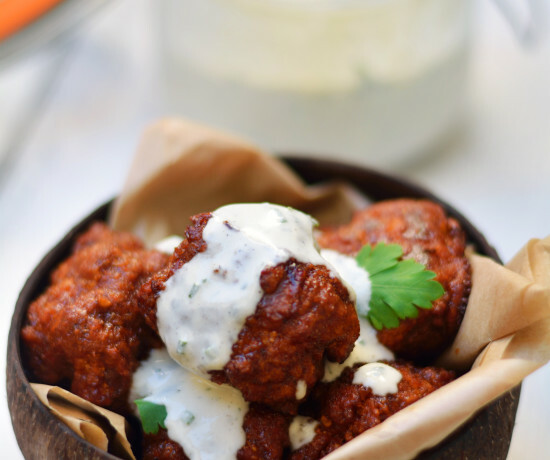 Gluten-free and suitable for both those on a vegan and Paleo diet. 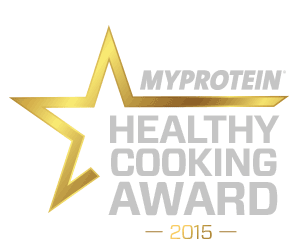 To keep up to date with my Ninja Kitchen collaborations please click here. I was approached by People Tree’s PR company to review some of their gorgeous Fairtrade and ethical range. I reviewed 3 items from their range and was pleasantly surprised at the high quality of the materials and the super elegant fit. I really loved this project, it definitely made me explore my photography skills further and given a chance I will definitely work with People Tree again. 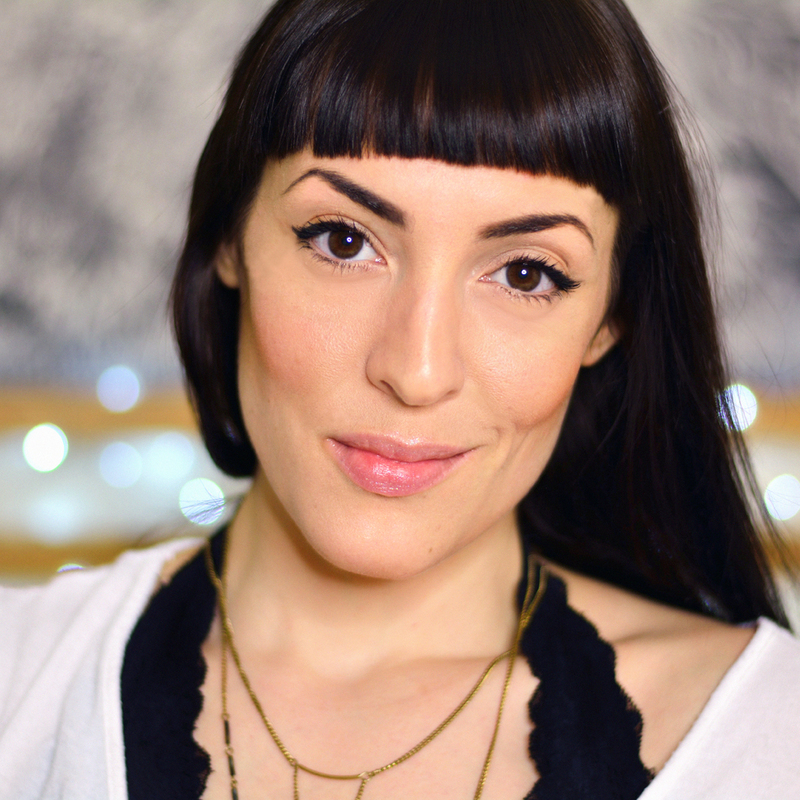 I would love to expand my blog further into ethical fashion so if you’re an ethical fashion brand just give me a shout! To read my review in full please click here. 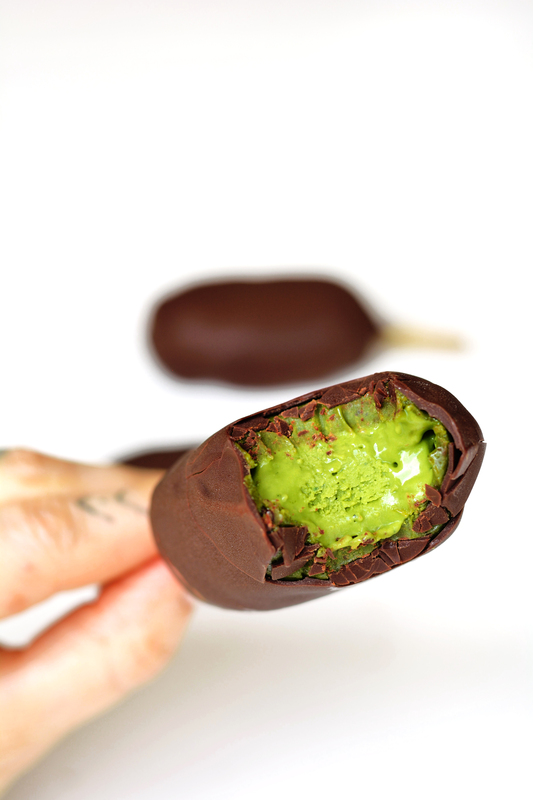 I dived face first into matcha heaven and created these Matcha Caramel Magnums – 3 layers of total bliss; rich matcha ice cream centre surrounded by a rich a chewy matcha caramel, double-dipped in a dark raw chocolate shell. 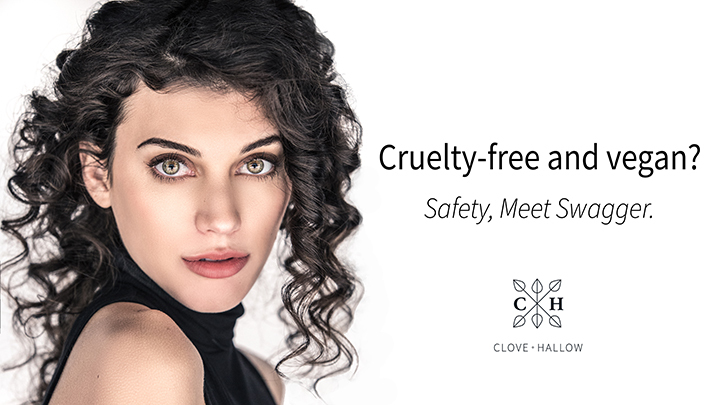 All vegan and Paleo-friendly too. This is my 4th project with Matchæologist and their products never cease to amaze me. Love you guys! To view my other Matchæologist collaborations please click here. For the Easter Montezuma campaign, I couldn’t help but create something super indulgent yet incredibly tasty. 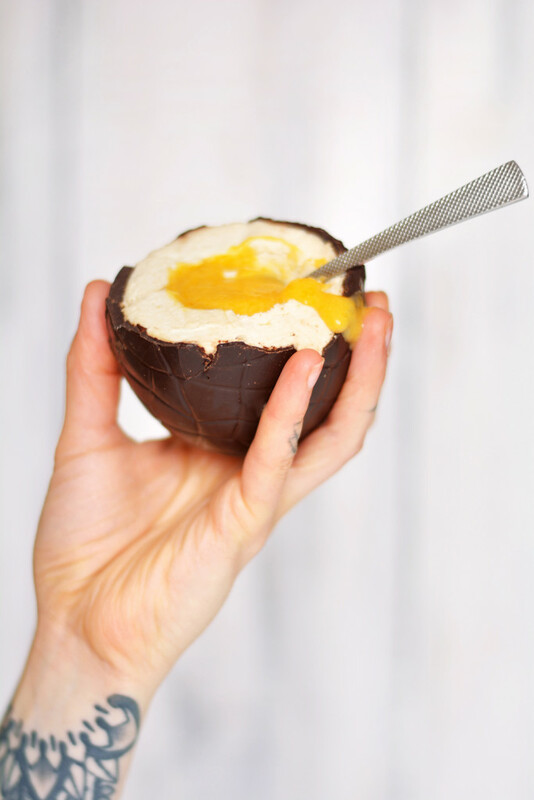 Montezuma sent me out their 100% Cocoa Bar so I decided to make a dark chocolate Easter egg filled with a raw vegan white chocolate cheesecake and liquid mango and passion fruit yolk. I also gave a brief masterclass in tempering chocolate without a thermometer! 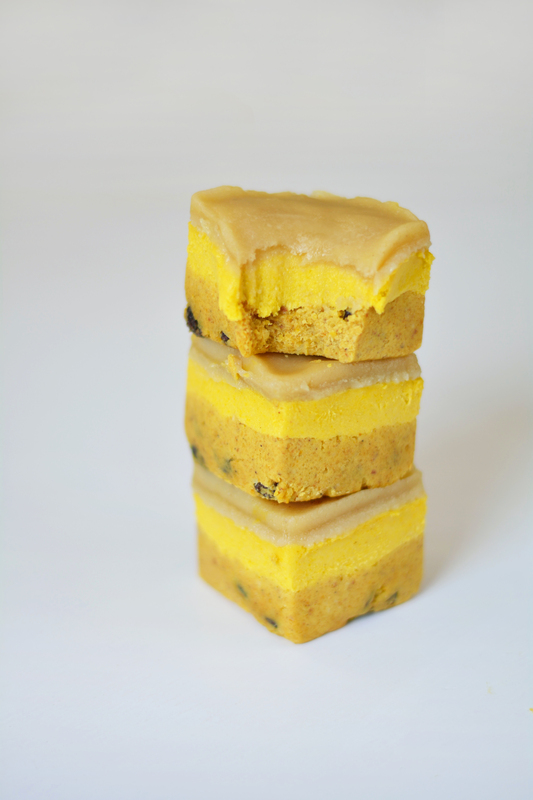 This was my 3rd Instagram post (of 4) for the amazing GATO & Co. As it was Easter I whipped up some No-Bake Simnel Cake Squares, adding some festive spices and dried fruit to their delicious Orange sponge and topping with an apricot creme caramel and delicious raw marzipan. I literally couldn’t get enough of this one! You’ll find my original Instagram post here. For the 2nd of my 4 Instagram posts for GATO & Co. I decided to use their Chocolate & Aubergine Fondant for the base of some delicious mini, dairy-free Salted Caramel Cheesecakes. This has probably been one of my most successful Instagram recipe posts of all time and it was definitely my favourite dessert to eat. A white chocolate and caramel centre, all drizzled in lashings of silky salted caramel sauce. 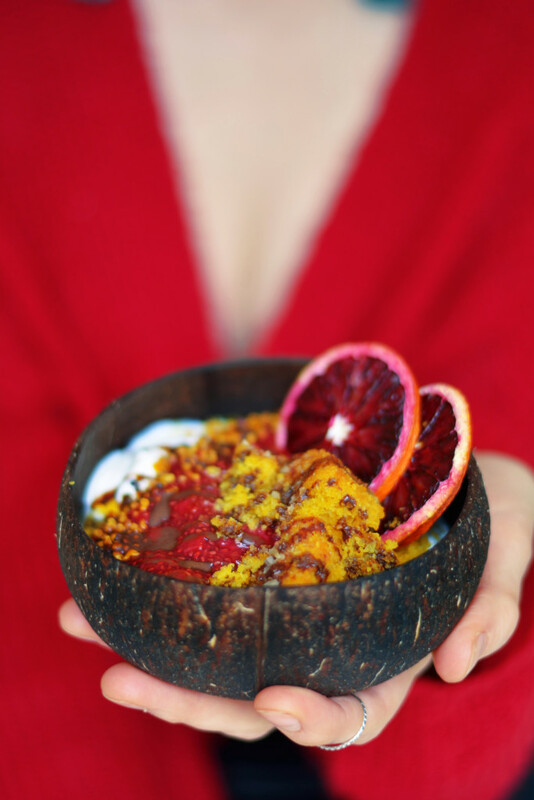 For the Filippo Berio Valentine’s campaign, I was set the task of creating 2 different olive oil based recipes so I opted for; a Blood Orange Superfood Buddha Bowl and an Olive Oil Chocolate Mousse with Balsamic Blood Orange. 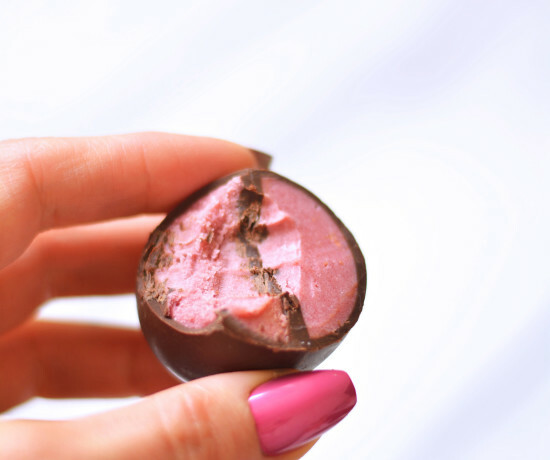 Both were exceptionally tasty but Filippo Berio loved my chocolate mousse so much that they featured it in their Valentine’s newsletter – I couldn’t have been more thrilled! I was brought in to collaborate with Quorn to help promote their vegan range of products during Veganuary. 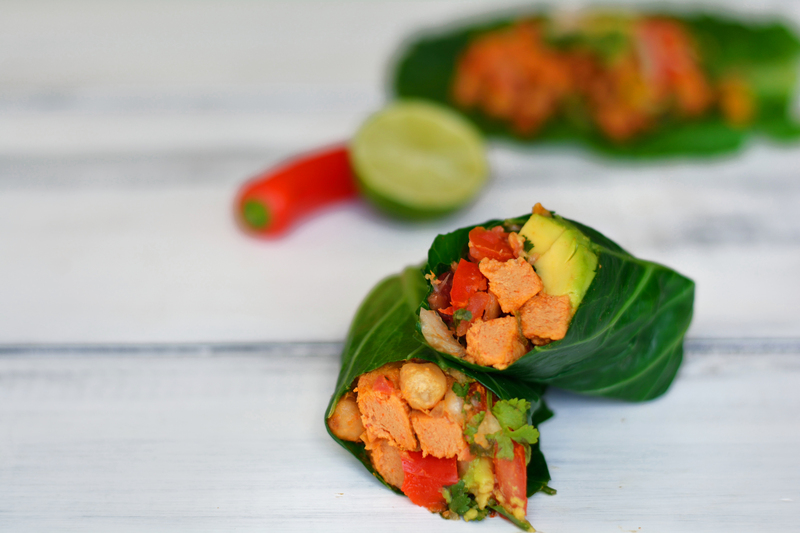 I wanted to stay true to my no grain and no gluten recipes so I created these gorgeous No Wrap Vegan Fajitas using spring greens instead of tortillas for a lighter meal with a super shot of nutrients. This was my 1st of 4 Instagram recipe posts for GATO & Co. I took their gorgeous little Orange, Cardamom, and Turmeric Polenta Sponge and gave it a delicious upgrade with a Blood Orange, Strawberry, and Rose Water Chia Jam, a little chocolate drizzle and some dehydrated blood orange slices. The flavour and the colours were so amazing! 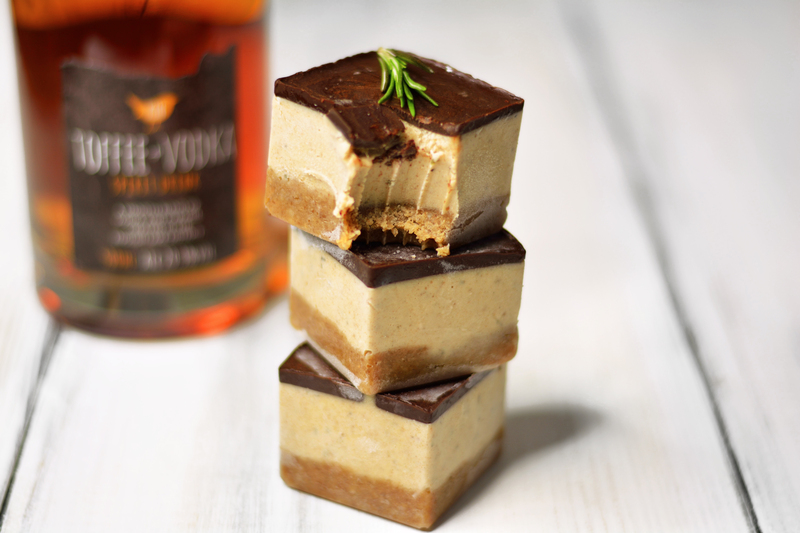 The Ninja team brought me in to create 2 delicious recipes using Kin’s gorgeous Toffee Vodka for something fun and festive. I created some Gingerbread and Rosemary Slices which had a super fudgy cookie dough base, a delightfully sweet and spiced toffee, ginger, and rosemary cream filling, all topped with a crisp, dark chocolate topping. Divine! Next up were some super cute Banoffee and Thyme Pies with a cheeky toffee vodka twist. This was definitely one of my favourite months for recipe development. Recently the wonderful people of Kenwood World approached me asking if I would like to create a recipe using their Kenwood Chef Elite KVC5100S stand mixer. Naturally, I jumped for joy at the prospect of using such a fab piece of kitchen gadgetry but my 4-year-old daughter was even happier. A while back I had actually bought her a motorised Chef Elite replica so she’s now over the moon that we have matching kitchen gear. 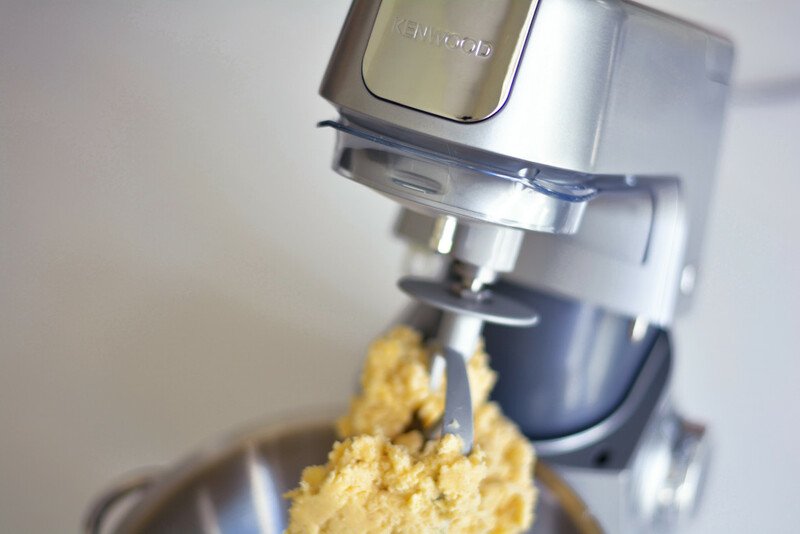 Although Kenwood only expected me to create a recipe I wanted to give my audience an idea of how the Chef Elite performed and so I decided to make a recipe that would take advantage of the amazing different attachments and features. Boy was I impressed and so was my audience! I went into brief detail about how the Chef Elite performed and also gave some comparisons to the infamous KitchenAid. I created a lemon meringue pie with a Christmas twist. Buttery orange shortcrust pastry meets a tart cranberry and orange filling spiced with ginger and a hint of orange blossom, all topped with a silky meringue. My Cranberry and Orange Meringue Pie is a sure-fire Christmas winner. To view my delicious recipe and to read the blog post in full please click here. My 3rd and not final collaboration with Ninja Kitchen was a perfect one because I got to work with coffee, more specifically Percol’s fairtrade and organic coffee! Although I wanted to create a raw vegan dessert I wanted it to have that warm and comforting feel to it due to the bitterly cold time of year. I decided to go down the toasted marshmallow route with some Mini Mocha S’mores Pies. 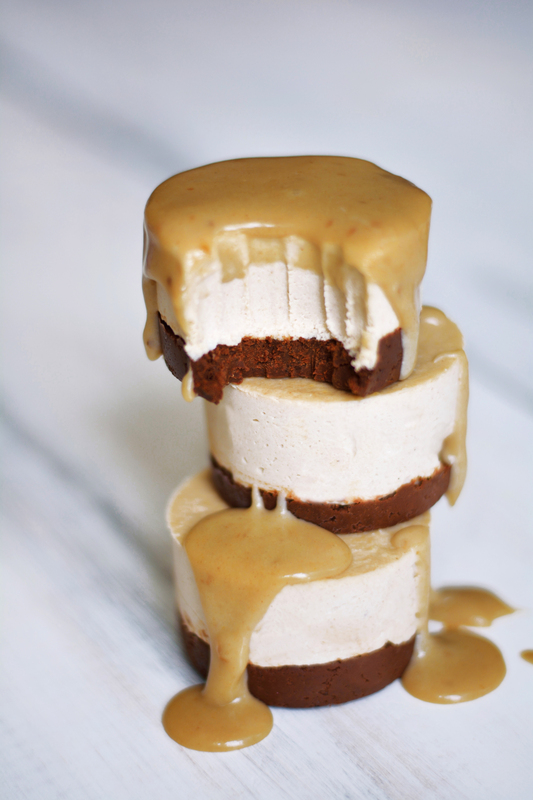 They are a fun, healthy, and raw vegan take on the campfire classic. 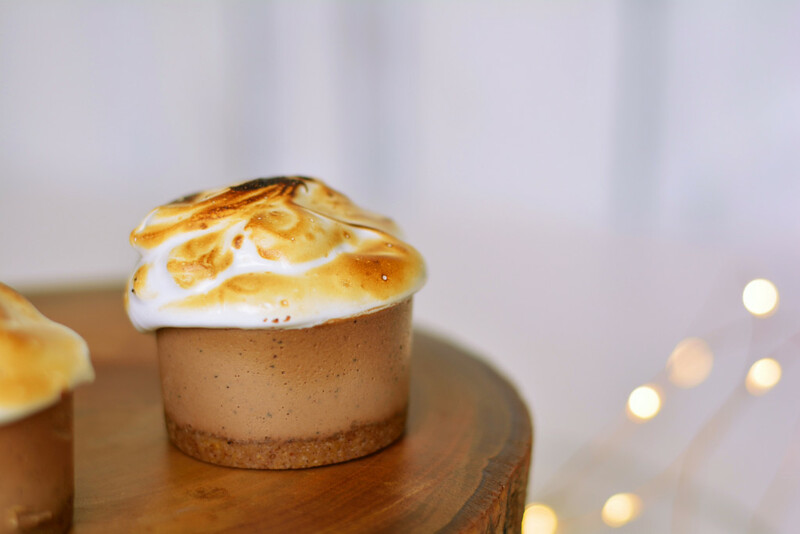 Raw digestive biscuit base with a smooth mocha mousse filling, all topped with vegan marshmallow fluff. Divine! This was my second collaboration with Ninja Kitchen and such a fun one too! 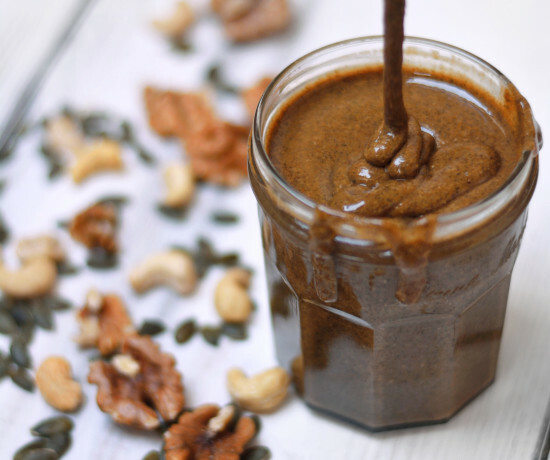 I was given free rein to develop a Halloween recipe using one of their Nutri Ninja Kitchen Systems. This was such a fun project for me to work on as it played on one of my strengths – raw desserts! 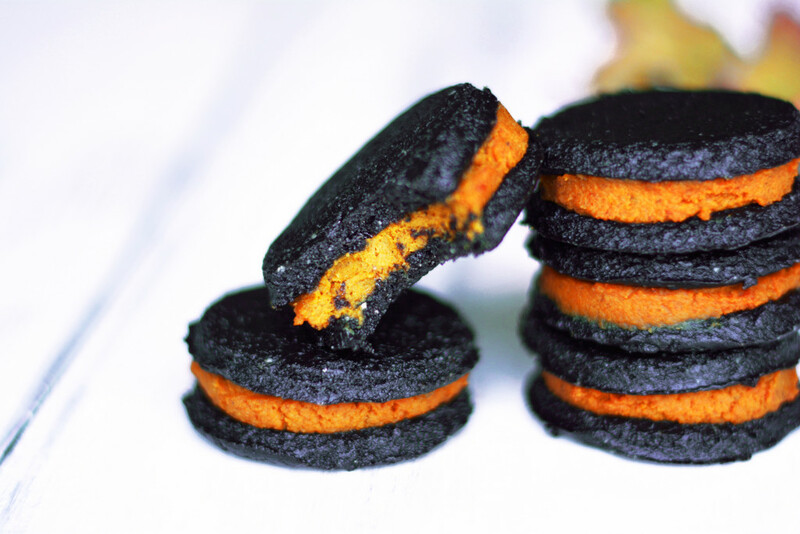 Creating a healthy raw vegan version of a pumpkin spice Oreo was not exactly easy but the end result was perfect. My Pumpkin Spiced Rawreos are a super easy and healthy treat fit for all the family at Halloween. Dark chocolate raw cookie dough is filled with a delicious, naturally coloured, pumpkin pie spiced crème. This was my 2nd product development project working alongside Vivo Life and was also my favourite to date. I have the pretty harrowing challenge of creating a plant-based, all natural and organic BCAA powder that didn’t taste horrendous. I’m pleased to say that this was incredibly successful and I managed to reduce the bitterness to pretty much next to nothing without the use of any artificial flavourings whatsoever. It’s definitely become my favourite product to use pre-workout and the customer feedback has been amazing which has been fantastic! To find out more about SUSTAIN please click here. 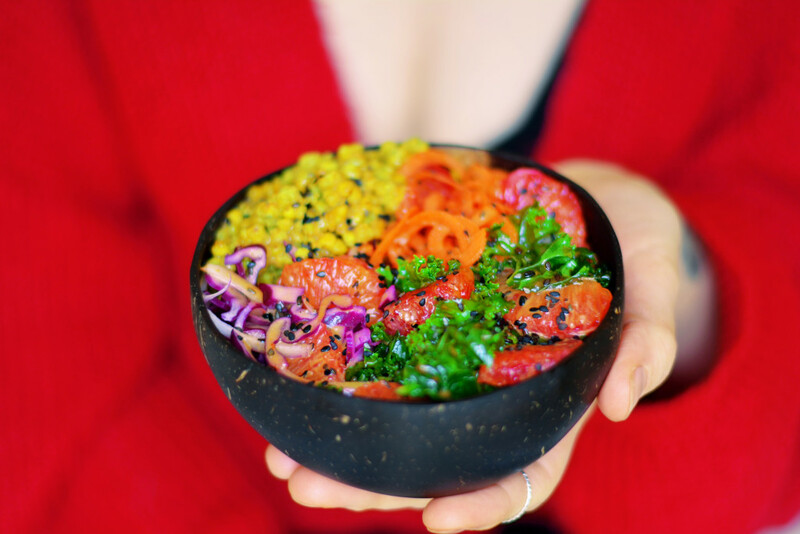 I’ve known the guys over at Vivo Life since the start of my blogging career – I’ve made many a recipe and written a few articles for them. In more recent times I’ve even become a freelance virtual assistant dealing with their customer service inquiries, B2B, affiliates, and much much more. I am delighted to announce however that I have now moved on from the world of simple recipe development into the kingdom of product development. 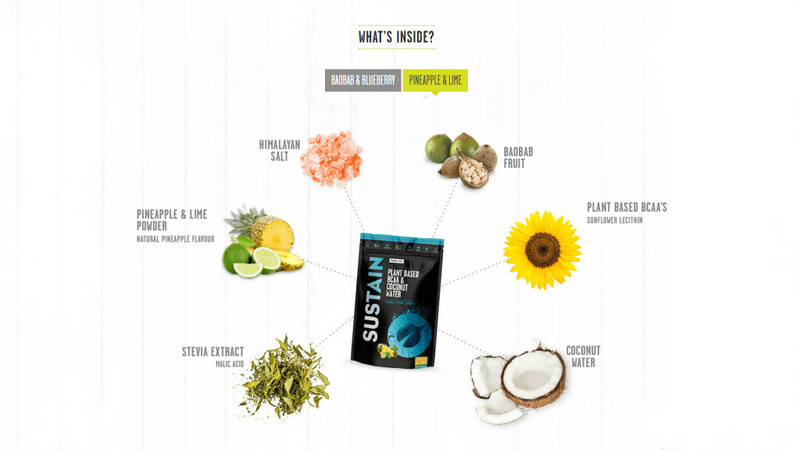 This project was a lot more complex than my simple recipe development – it largely involved a lot of mathematics and spreadsheets before I could fine-tune the taste of the product. I really enjoyed this as I am a closet science geek and it was nice to bring my passion, art, and science skills together. 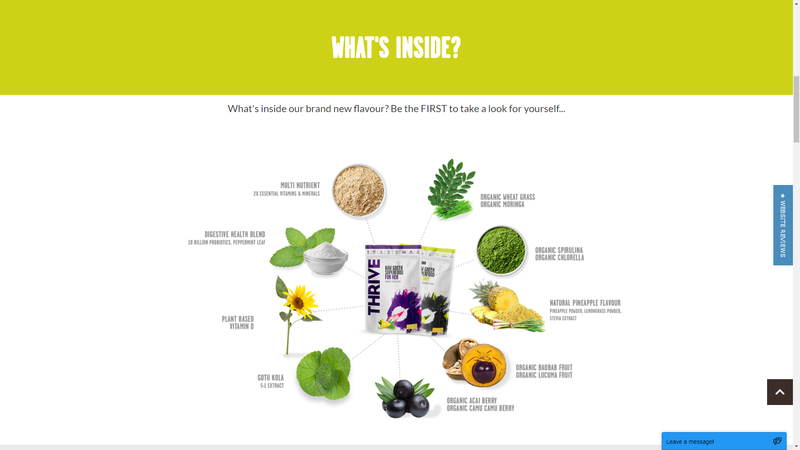 Vivo Life’s THRIVE Him and Her supplements are an expertly formulated combination of greens, fruits, vitamins, minerals, probiotics and brain-boosting herbs specifically formulated for both men and women’s nutritional needs. They guys at Vivo Life are happy with the outcome of the THRIVE product I developed and have asked me to create a further 2 products for them as well as refine the flavours of their existing products so stay tuned for more delicious health and fitness supplements! To find out more about THRIVE Him and Her please click here. I am excited to announce that I’m now collaborating with Ninja Kitchen on a regular basis. 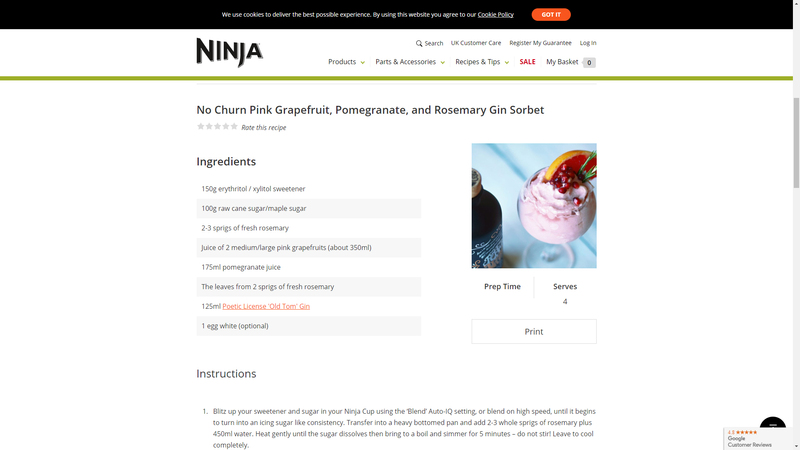 For my first post I created a No Churn Pink Grapefruit, Pomegranate, and Rosemary Gin Sorbet – this was a collaboration between both Ninja Kitchen and Poetic License Distillery, a fantastic artisan gin maker. This was such a different project for me to work on as it featured alcohol for once! Creating a healthy gin-based delight was no easy feat but I managed. It also doubled up as a fab sorbet cocktail and may or may not have been incredibly drunk after all that recipe testing. Another amazing feature that the teenage me would have been super excited about (to be fair I’m still really excited about this!). 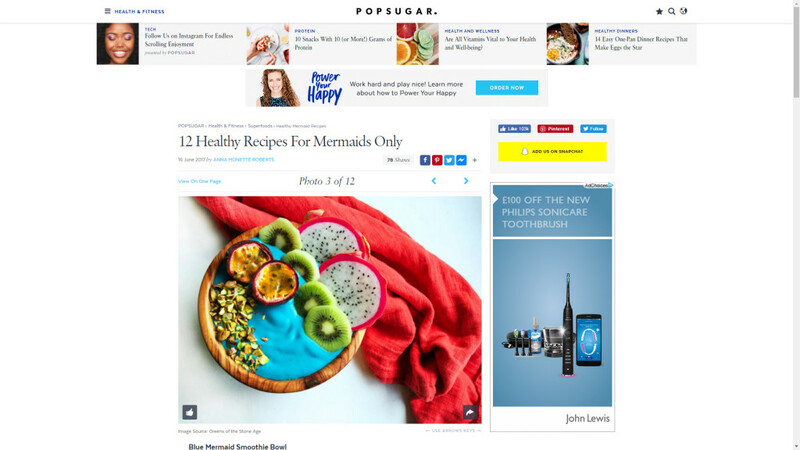 Both my Blue Mermaid Smoothie Bowl and Blue Majik Cheesecake were featured in POPSUGAR’s online post 12 Healthy Recipes For Mermaids Only. 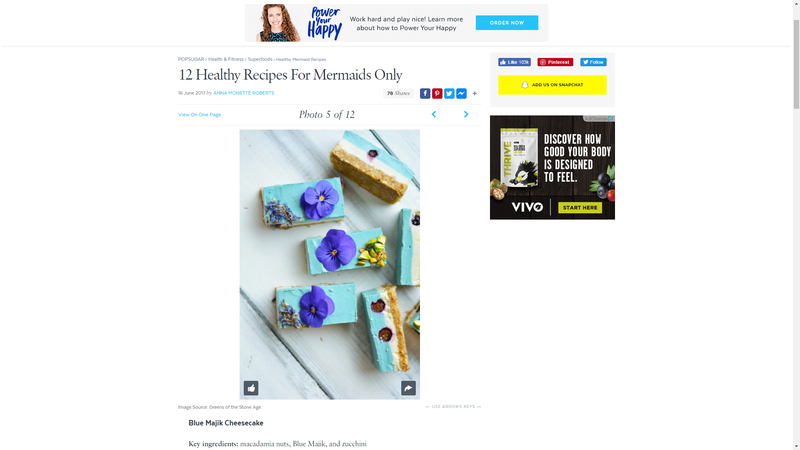 Again I had a little debut in the feature image with my Blue Mermaid Smoothie Bowl so this was such an amazing feat – there were so many talented bloggers in this post that I was so excited to be featured alongside them. You can view the post by clicking here. 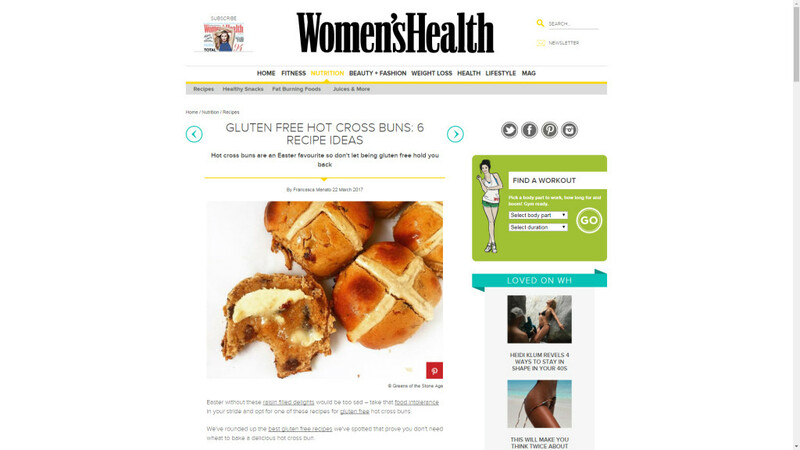 I was delighted to have my Paleo Hot Cross Buns featured in Women’s Health’s post Gluten-Free Hot Cross Buns: 6 Recipe Ideas – my image was used as their feature image in the post which totally made my day! 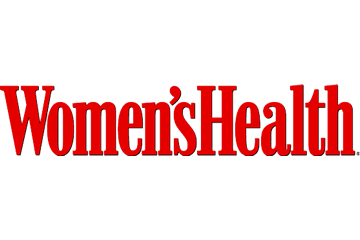 I’m a huge Women’s Health fan and would love to write for them one day so this felt like a massive achievement, and it was great to be featured alongside some amazing food bloggers! 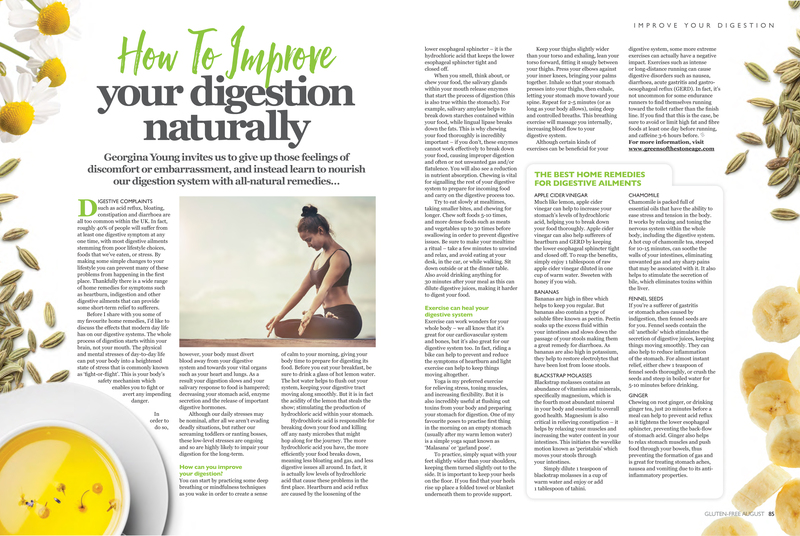 You’ll find my feature article ‘How to Improve Your Digestion Naturally’ in the August/September issue of Gluten-Free Heaven, wherein I talk about how exercise can heal your digestive systems and share my favourite home remedies for the most common digestive ailments that we can all suffer from. Pick up your copy of Gluten-Free Heaven at Asda, Morrisons, Sainsbury’s, Tesco, Tesco Extra, Waitrose, M&S, WHSmith and Easons, or order online direct from Free-from Heaven. You’ll find the recipes for my Butternut Squash, Pomegranate, and Feta Mason Jar Salad and Thai Glass Noodle Salad all featured in the August issue of Gluten-Free Heaven. I discussed the health benefits of ditching meat and opting for a more vegan way of living with Nick Ahad on BBC Radio Leeds. To listen in full use the Soundcloud player below or alternatively, click here. 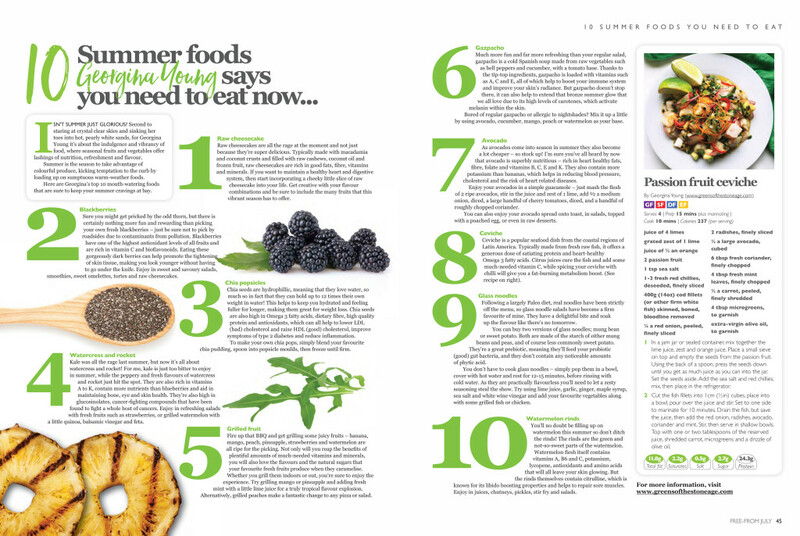 You’ll find my feature article ‘10 Summer Foods You Should Be Eating Now’ in the July/August issue of Free-From Heaven, wherein I share my favourite fun, colourful, and nutritious summer foods. 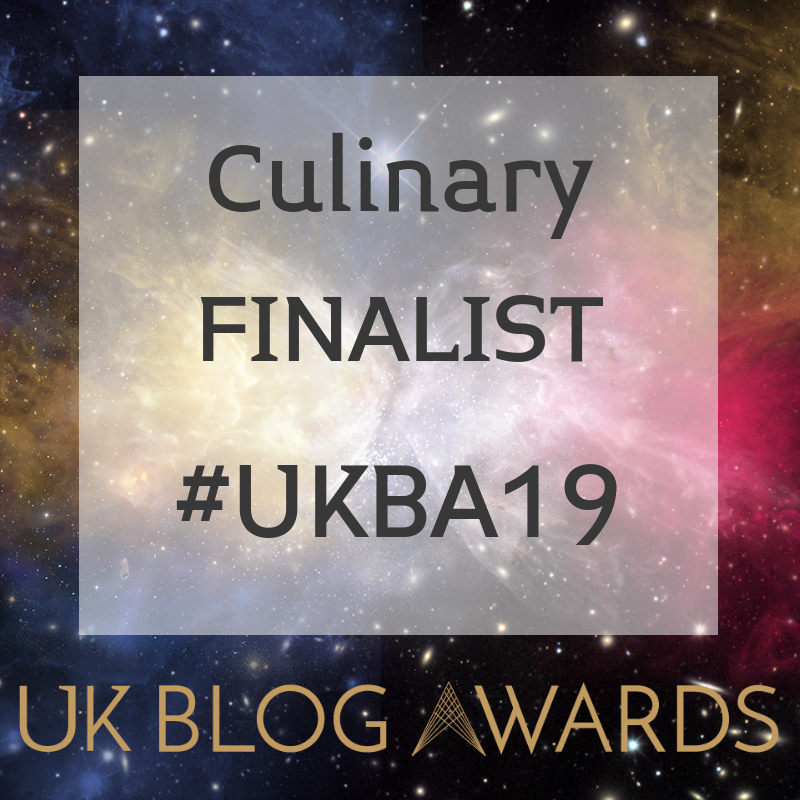 You’ll also find the recipe for my Passion Fruit Ceviche which turns the traditionally sour ceviche on its head, giving it a sweet taste and modern feel, creating a perfectly vibrant and refreshing summer dish. Pick up your copy of Free-From Heaven at Asda, Morrisons, Sainsbury’s, Tesco, Tesco Extra, Waitrose, M&S, WHSmith and Easons, or order online direct from Free-from Heaven. 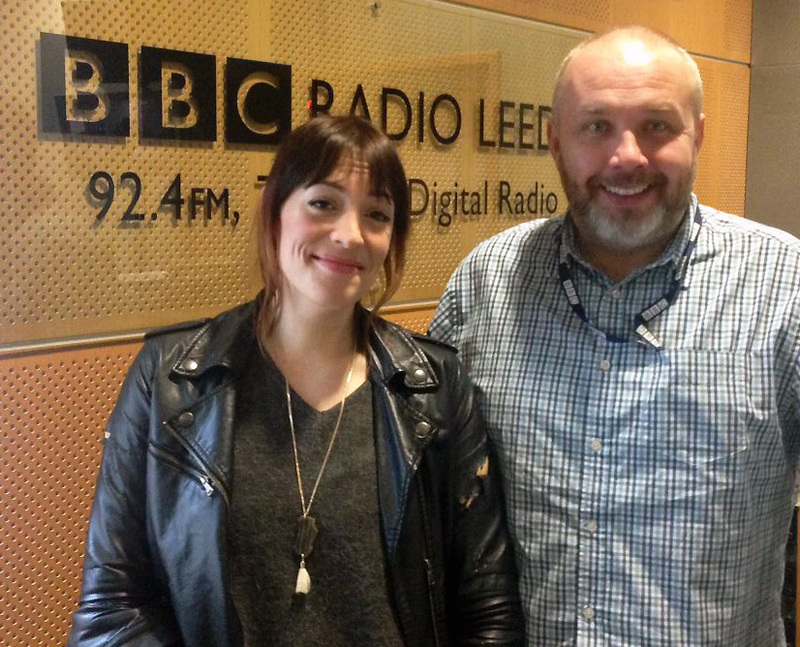 I discussed the rise of so-called ‘fad diets’ with Andrew Edwards on BBC Radio Leeds. We also talked about the Paleo diet and lifestyle, how it has improved the symptoms of my autoimmune disease, and how the Paleo diet fits in with my 3 children. 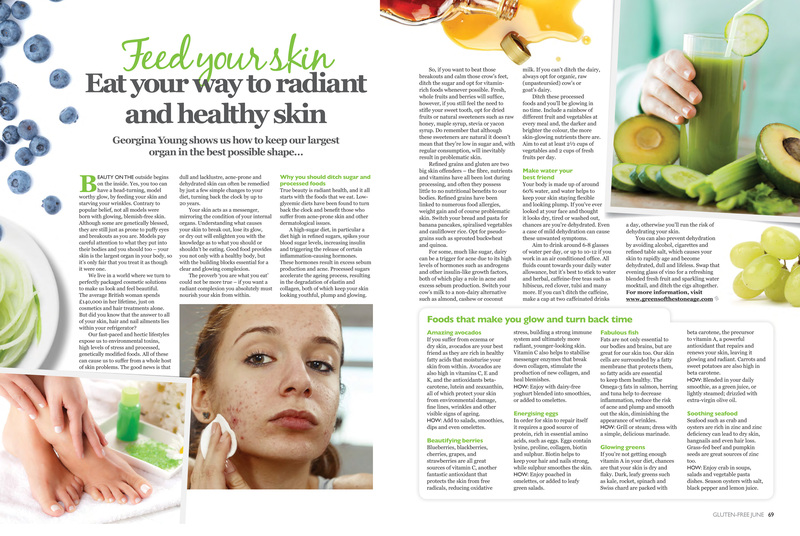 You’ll find my feature article ‘Feed Your Skin’ in the June issue of Gluten-Free Heaven, wherein I talk about how it’s possible to eat your way to radiant and healthy skin by ditching processed food and sugar. I also include my favourite foods that will turn back the clock and make your skin glow. You’ll find my feature article ‘Understanding Probiotics’ in the May issue of Free-From Heaven, wherein I look at the healing benefits of probiotics and the important role both prebiotics and probiotics play within the body. 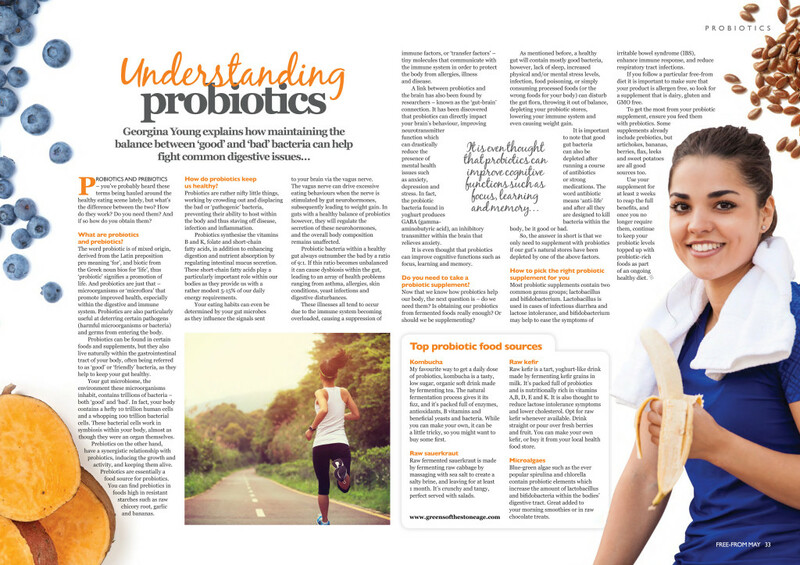 I also talk about supplementation and the best sources of probiotic rich foods. 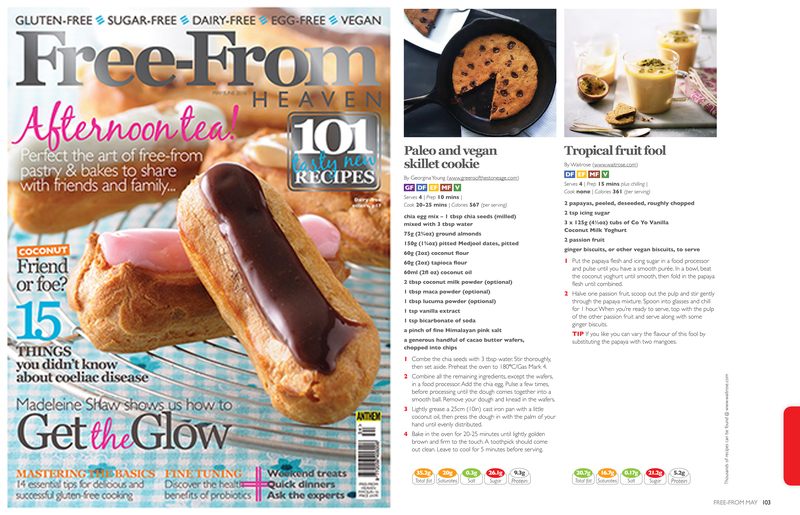 You’ll find the recipes for my; Paleo and Vegan Skillet Cookie, Chocolate Orange Cricket Flour Brownies, Coconut, Lemon, and Turmeric Chia Pudding, and Orange and Cayenne Chocolate Avocado Mousse all featured in the May issue of Free-From Heaven. 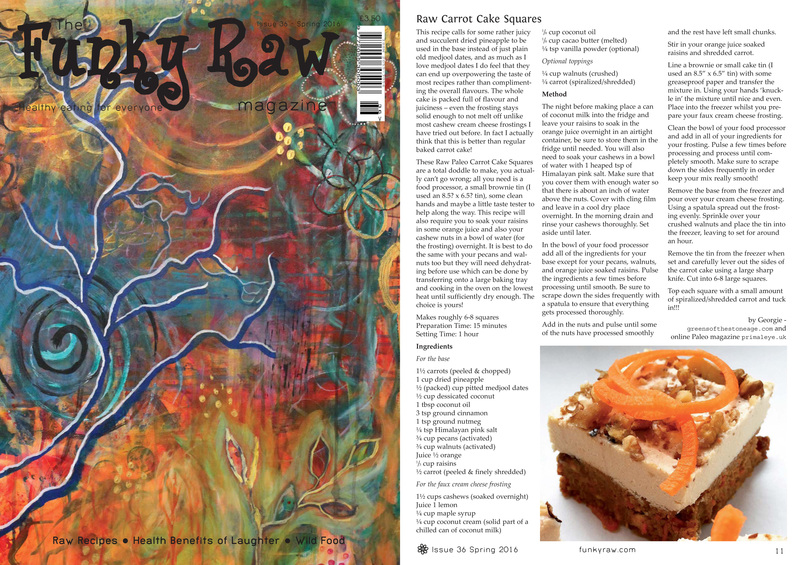 The Funky Raw Magazine is a quarterly publication covering raw food, nutrition, raw recipes, wild foods, consciousness, poetry, permaculture, and lots more. 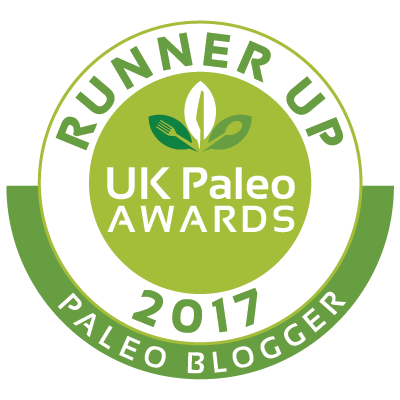 Including UK raw food news, event and potluck listings. 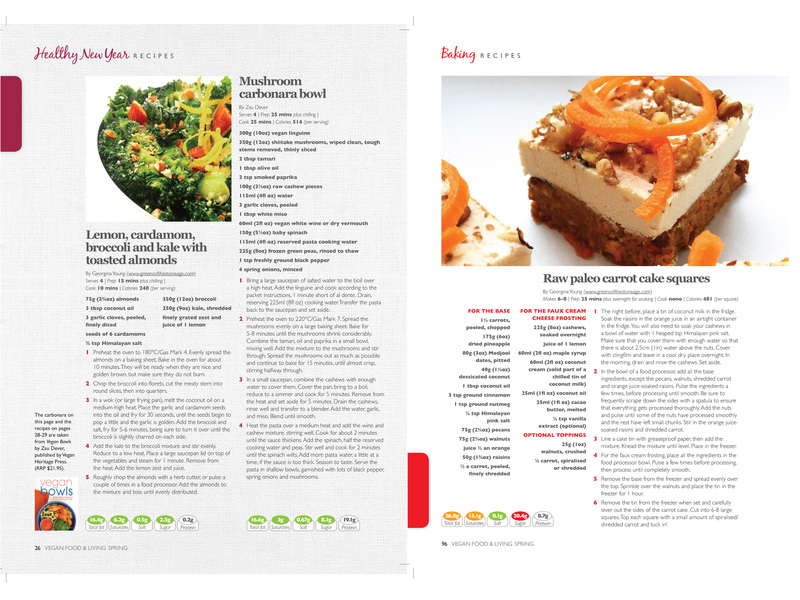 This issue has a great selection of recipes including my Raw Paleo Carrot Cake Squares, plus news, reviews and events listings. Why not order your very own back issue copy here for £3.50. 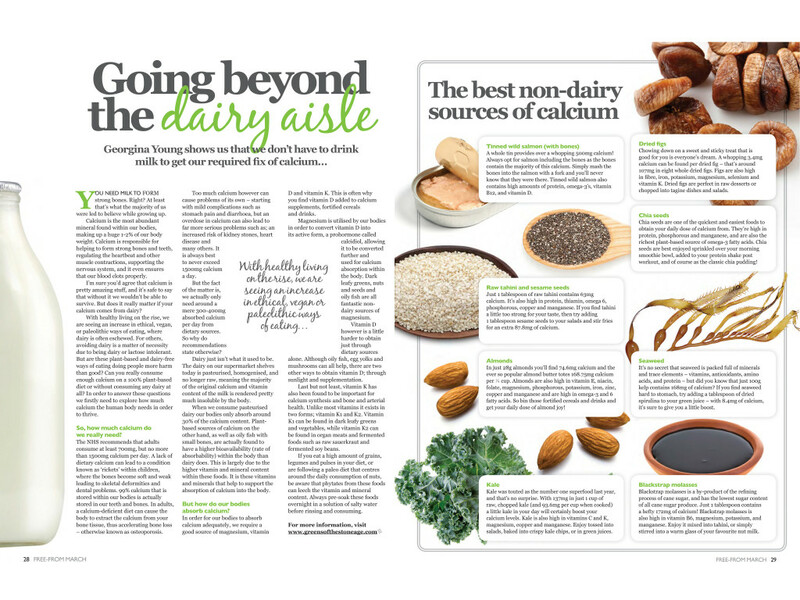 You’ll find my feature article ‘Going beyond the dairy aisle’ in the March issue of Free-From Heaven, where I look at the important role calcium plays within the body and the best non-dairy sources of calcium. The issue is also packed full of 101 seasonal and healthy recipes to kick-start a nutritious free-from 2016 and focusing particularly around Easter. Why not pick up your very own copy here. Richard Stead embarked upon a ‘Free From February’ wherein he dabbled with gluten-free, sugar-free, and the Paleo diet. We talked about what the Paleo diet is, the benefits of a high fat diet, the common misconceptions of the Paleo diet, and Primal Eye Magazine. To listen in full click here. 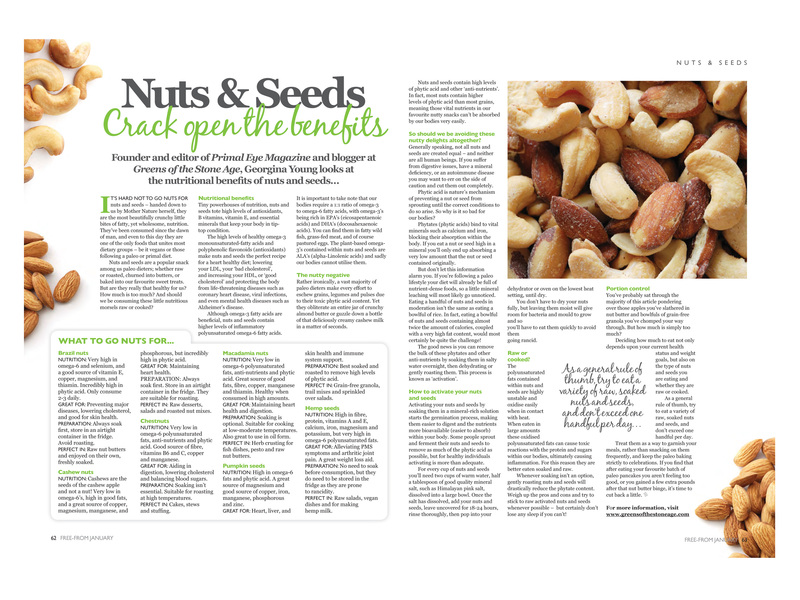 You’ll find my feature article ‘Nuts & Seeds: Crack Open the Benefits’ in the January issue of Free-From Heaven, where I look at the nutritional and health benefits of nuts and seeds in depth. 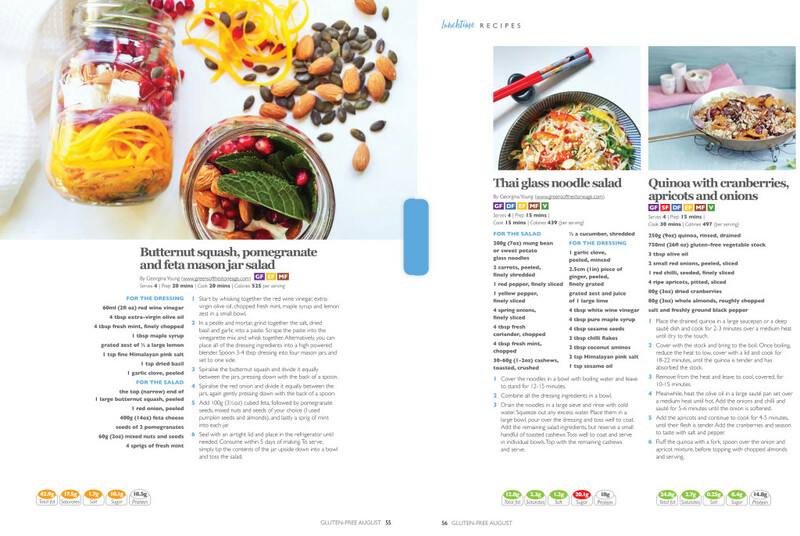 The issue is also packed full of 101 seasonal and healthy recipes to kick-start a nutritious free-from 2016 and focuses around the theme ‘New Year, New You’. Why not pick up your very own copy here, alternatively head on over to the Free-From Heaven website to read the article in full. 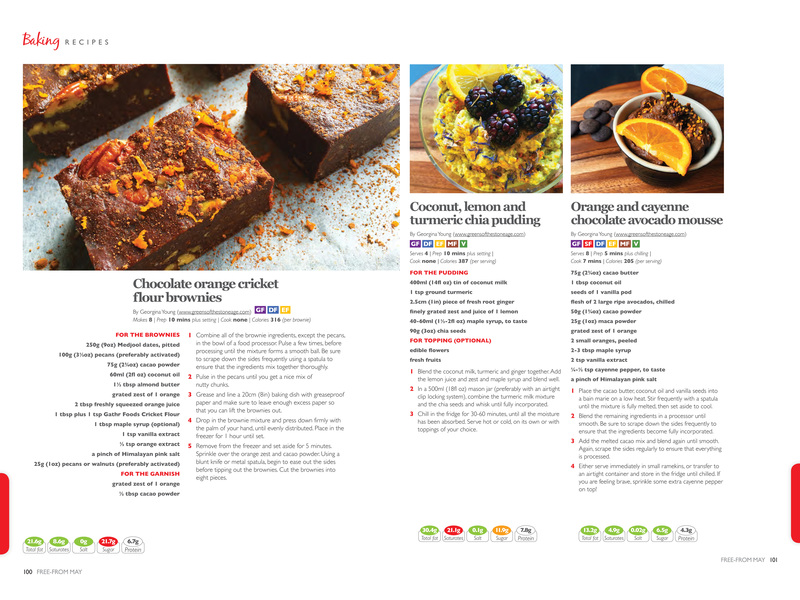 I am absolutely thrilled to be featured in the very first issue of Vegan Food & Living – featuring 101 delicious recipes including my Lemon Cardamom Broccoli and Kale and Raw Carrot Cake Squares, plus features on how to get the perfect nutritional balance in your diet, 16 top tips for vegan baking, and much more. Why not order your very own back issue copy here. 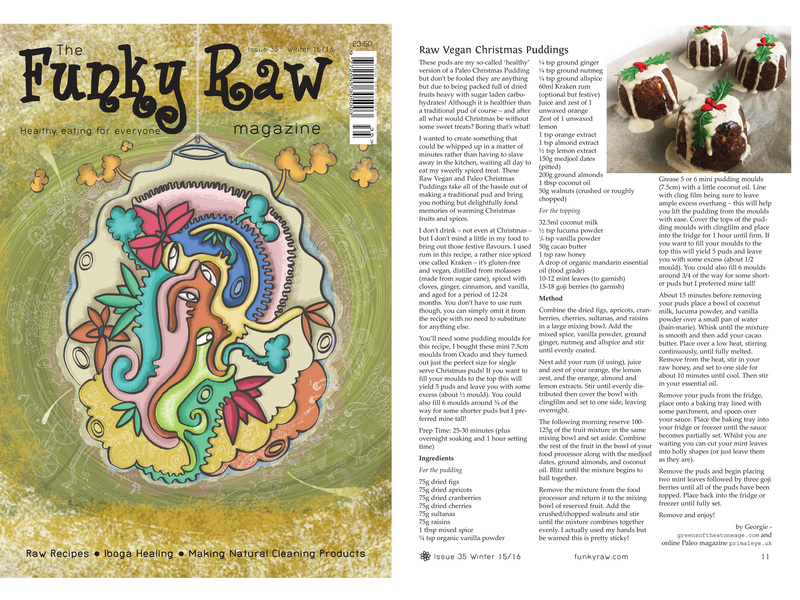 The Funky Raw Magazine is a quarterly publication covering raw food, nutrition, raw recipes, wild foods, consciousness, poetry, permaculture, and lots more. Including UK raw food news, event and potluck listings. There are some fascinating articles in this issue: using iboga for healing addictions, creating your own natural cleaning products, the pitta dosha in Auyurveda and more. 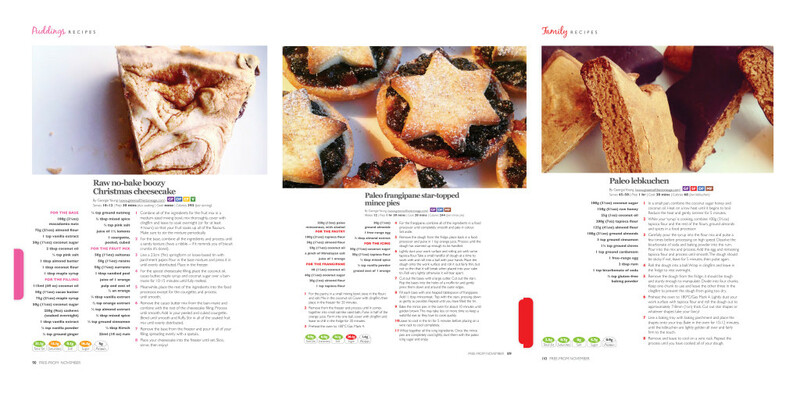 Plus a great selection of recipes including my Raw Vegan Christmas Puddings and a feature on raw breakfast recipes ideas. A festive special from Free-From Heaven, featuring 101 seasonal recipes that will see your Christmas full to the brim with magical dishes for friends, family and loved ones alike. From Christmas bakes and puddings to family treats and lunchtime specials, there is something for everyone. My Paleo Lebkuchen, Raw No-bake Boozy Christmas Cheesecake, and Paleo Frangipane Star-Topped Mince Pies were all featured in this fabulous Christmas issue. 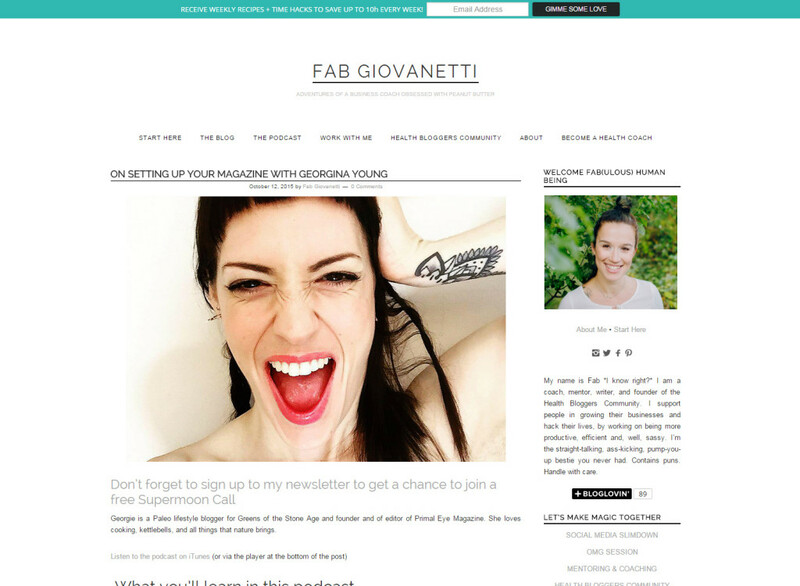 Fab and I get down and dirty on blogging, setting up a magazine, and self love. 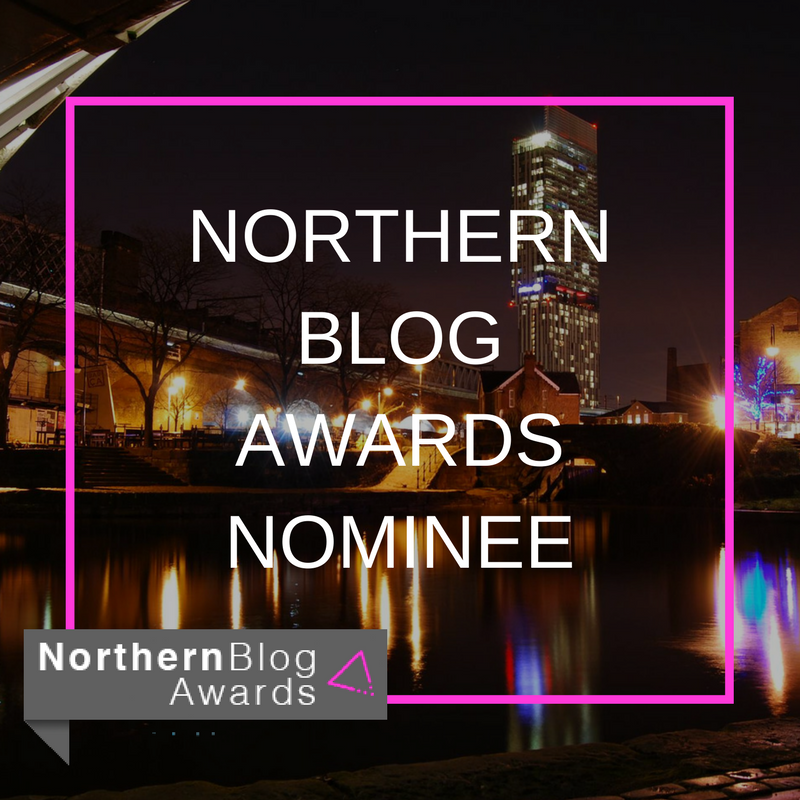 Click the image below to be redirected to our fabulous little chinwag. I had the opportunity to interview Suzie Walker the founder of The Primal Pantry on the perils of Paleo and motherhood and business development. 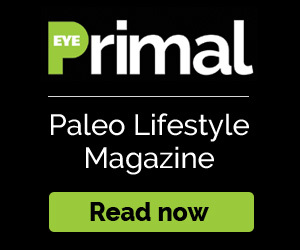 You’ll find my full interview on Primal Eye Magazine – the UK’s 1st online Paleo lifestyle mag! 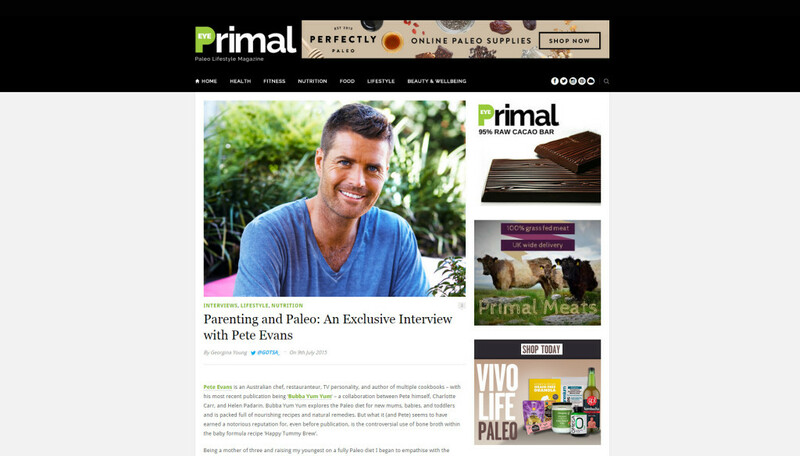 In this exclusive interview with Pete Evans for Primal Eye Magazine, Pete and I talk parenting, Paleo, and the infamous Bone Broth recipe for his book Bubba Yum Yum. 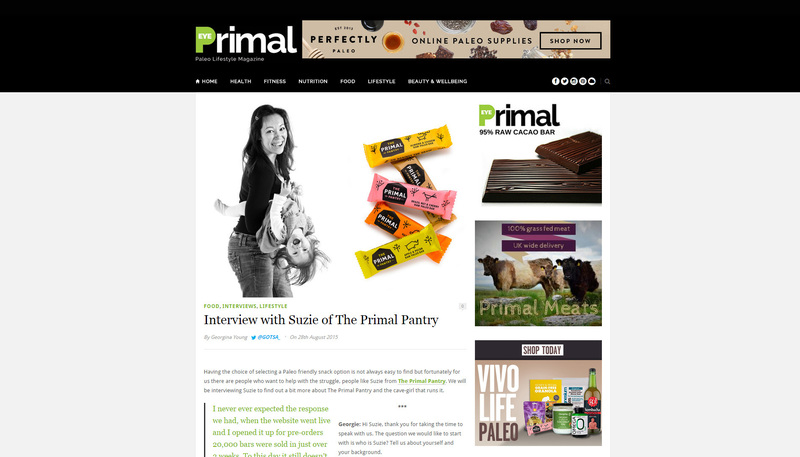 Read the interview in full at Primal Eye Magazine, the UK’s 1st online Paleo lifestyle mag.